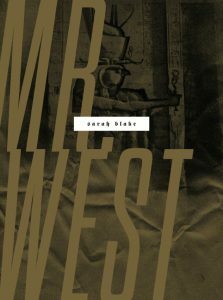 In the midst of found poems made from Trump speeches, divisions in the literary community over Bob Dylan’s Nobel Prize in Literature, and interviews with voters in swing states on the NPR morning news series “A Nation Divided,” I read Sarah Blake’s Mr. West, a poetic chronicle of her researching the life of Kanye West. This year has ruptured our culture, leaving societal gaps between various groups so large that many wonder if they can ever be bridged. In such a landscape, Blake’s study of West offers a map in how commonalities may be found across the oceans of differences that make others seem untouchable and unreachable, whether due to celebrity, race, gender, class, or geography. Incorporating news feeds, Tweets, and conversations with her husband about her research, Blake’s poetry excavates a deep (and perhaps unexpected) affinity with West and his mother and challenges her audience to let these poems – poems that blend juxtaposition, multi-voiced lyricism, and pop culture – dissolve the barriers between this pregnant Jewish woman, this hip hop music star, and the reader. 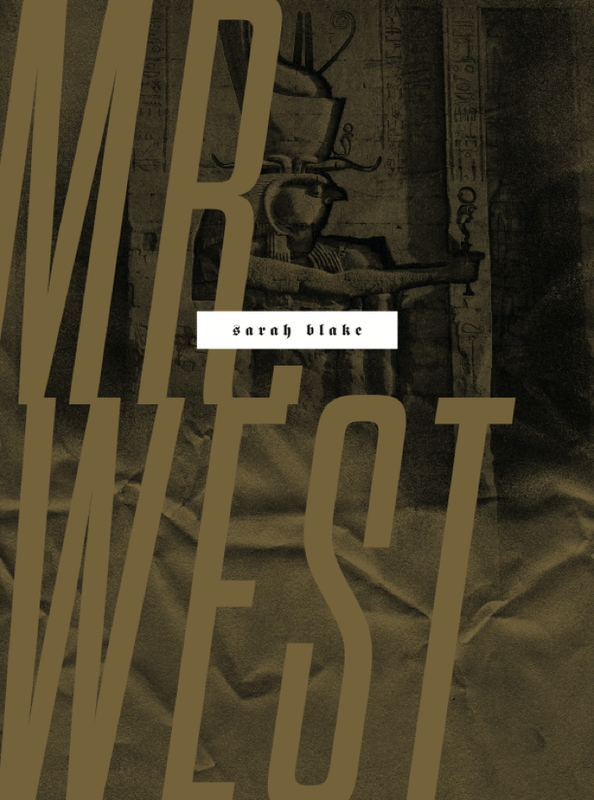 In Mr. West, Sarah Blake uses multiple levels of juxtaposition to bridge cultural divides, reminding us of the connections we often feel to celebrities who change how we see the world and our place in it. On a most surface level, Blake’s poems speak to the pervasiveness of celebrity and media in our world and how the lives, voices, and images of these celebrity-strangers seep into the cracks of our own lives and identities. The opening poem begins with an excerpt of West talking about the great sense of loss, of absence, left by his mother’s death, followed by the speaker comparing him to Jesus – “I can’t unthink this thought” – reminding us how compelling these connections are in the same way we may find ourselves drawn to forging friendships and affairs with people we meet. By the end of the poem, the juxtaposition of West and Blake seems inextricable: “Monday this premiere, Tuesday this article, Wednesday / my first ultrasound, with my child’s boneless arms in motion.” If these people are on our radios and internet feeds and television, isn’t it foolish to think they have no place in our psyches and our lives? I could imagine you in the 80’s “got milk?” ads. That ad campaign began in 1993. You’re no better. What are you really thinking? Thus, through italics, alternating margins, and varying font sizes Blake allows us to hear the shifts in voice without losing continuity of the poem. It also reveals the real and deep connection we have to those we encounter through art and media as a reflection of and tool for our own internal dialogues. These poems create a stream of consciousness that includes the presence of pop culture, which is so hard to escape in our modern world, while also presenting a finely crafted poem to lead us through greater lyrical moves that create a confluence between memory and popular culture, between the poet-persona and the subject, Kanye West. “Dirty Jew” written on a statue of Alfred Dreyfus in Paris in 2005. What does this hiding look like? Most of the violence takes place off the page, as is always the case. The ultimate test of the privilege: the violence. For the most part, this page is not violent. For the most part, this page is privileged. The voices are not staying in their place in this poem that equalizes the public and private voices to existing on the same margins. Thus, Blake does not shy away from issues of race and discrimination, and class and privilege. Just as studies have show that reading teaches and nurtures empathy, in a metacognative move, Blake acknowledges this happening as she reads and writes about the life of West, daring the reader to let their own minds and hearts open to whoever is the other for them. Moreover, Blake does not apologize for using West and his mother as the fulcrum for her exploration of her own place in the world and her own privilege and vulnerability. In the poem, “In Song,” she deflects such criticism by defending West against criticism for comparing himself to Emmett Till in his song: “People have been outraged, but Kanye must/ feel a connection to this boy. And because of Kanye, // Emmett’s story is on the internet again and again. 65 years later.” This exemplifies Blake’s stark reporting with finely crafted line breaks to create commentary and poetry in one graceful and powerful move. Neither apologizing for nor aggrandizing the relationship with celebrity, the poems in Mr. West document how by engaging with West’s art and the publicity around his artist persona, Blake finds empathy beyond the boundaries of her own world and challenges the readers to open themselves up to poetry’s transformative power, to allow the walls between themselves and others to fall away. Lisa Cheby’s poems and reviews have appeared in various journals including The Rumpus, The Citron Review, Tidal Basin Review, A cappella Zoo, and TAB: Journal of Poetry and Poetics, which nominated her poem for a 2015 Pushcart Prize. Lisa’s poems are also found in the anthologies Drawn to Marvel, The Burden of Light, Coiled Serpent, and Hysteria. Her first book, Love Lessons from Buffy the Vampire Slayer, is available from Dancing Girl Press and was featured in The Wardrobe’s Best Dressed Series. Lisa holds an MFA from Antioch and an MLIS from SJSU.